While craft cocktails still reign supreme, sometimes we crave the simplicity of a glass of first-rate liquor served without embellishment. In bar-speak, enjoying a spirit on its own without ice or mixer in is called neat. Many of these spirits work well in mixed drinks, but they’re at their best served neat, allowing their uniqueness to shine. Our selection of the best spirits includes a mezcal made according to ancient Mexican methods, a reserve Cognac from a company dating back to the 17th century, a gin that is blended with pure Icelandic water and a terroir-driven rum. Even better, most won’t break the bank. On-trend but not trendy, GAYOT’s list of Top 10 Spirits is in a class of its own. 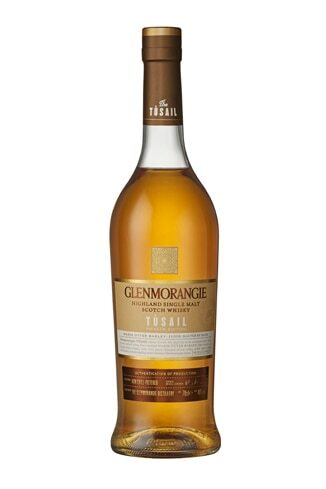 Glenmorangie has been producing whisky since the 19th century, and Tùsail is from its Private Edition collection. Named after the Gaelic word that means “causing the origin of something,” Tùsail is crafted from a special selection of Maris Otter barley. This marks the first usage of this less starchy, more flavorful barley by the stalwart Highland distillery. Floor-malted by hand, Tùsail is matured in casks previously used for bourbon. Malty on the nose and the palate, it boasts notes of toffee and spices. Richer than the typical Glenmorangie, the spicy finish helps make this one vibrant, earthy single malt. Kimo Sabe Mezcal Joven: Albedo was named “Best of Class International Specialty Spirit” in the 2016 American Distilling Institute (ADI) Spirits competition. This traditional Mexican spirit comes from Oaxacan soil and is produced by father-daughter team, Jim and Ashley Walsh. The Kimo Sabe Mezcal Joven: Albedo has a smooth body with flavors of citrus fruit, notes of smokiness and a spicy finish. Price: $27 for 750 ml. Pisco is a burgeoning category in the world of mixology, and the superior flavor and quality of Macchu Pisco is helping to fuel that growth. Purity is part of pisco’s allure. This unadulterated spirit is made of just one ingredient: grape juice. Peruvian regulations decree that nothing, not even water, can be added when producing this alcohol. Founded in Peru in 2005, the Macchu Pisco company is a rarity in the world of spirits — its owner, master distiller and blender is a woman. In Peru’s Ica Valley, the home of Macchu Pisco, top-quality Quebranta grapes are pressed by foot, then fermented and distilled in copper pot stills. The final product is medium-bodied, with vanilla, lime, lemongrass and earthy notes. 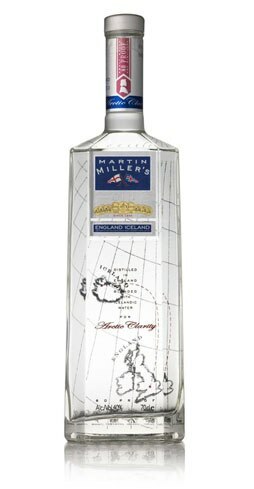 Englishman Martin Miller, disenchanted with the gins on the market, conceived his eponymous spirit in 1999. Its composition includes 10 of the most high-quality botanicals from around the world, including oranges from Seville, irises from Florence, and juniper berries from Tuscany or India. Rather than immediately merging orange peels with earthy botanicals, plants and citrus elements enjoy separate distillations for a fresh, pure taste. Crafted in England in small batches, the gin is then shipped to Iceland, where it’s blended with local glacial water, the world’s purest and softest. The resulting spirit is complex, with subtle juniper and citrus notes evidenced on the mid-palate, and is exceptional even when sipped neat. The House of Prunier traces its history in the Cognac business back to the 17th century, when Jean Prunier began shipping his wines and Cognacs around the world. Maison Cognac Prunier was established in 1769 in Maison de la Lieutenance, the house of the Lieutenant General of Cognac, and remains the symbol of the company to this day. Prunier’s Family Réserve Cognac uses grapes from the Grande Champagne, Petite Champagne and Fins Bois regions, with some of the Cognac in this blend dating back to 1938. Complex and nuanced, it boasts rich aromas, with notes of toffee and espresso. The palate is enticed with flavors of hazelnut and leather, leading to a long finish with lots of caramel. Price: $47 for 750 ml. 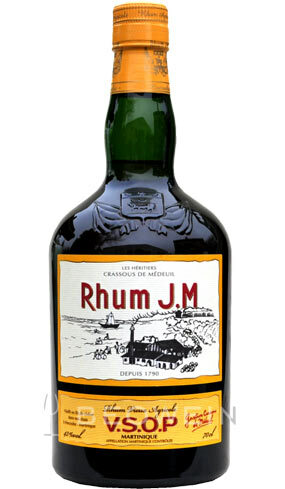 A hilly plantation on the French Caribbean island of Martinique is home to Rhum J.M V.S.O.P. The estate’s exclusive microclimate features volcanic soil, a low cloud ceiling and superior ventilation from ocean breezes. These qualities converge in the creation of the finest sugar cane, which is part of what makes Rhums J.M so special — 98 percent of the world’s rums are made from molasses. After distillation, Rhum J.M ages this Special Reserve in American and French Limousin oak barrels. The wood barrels, which impart a complexity unusual to rum, house the Rhum J.M V.S.O.P. for at least four to five years before it’s blended and bottled. This 90-proof spirit boasts a bevy of flavors and aromas, including cinnamon, ginger, spice and grass notes. Its dry, sweet finish, with a lingering spiciness, makes for an ideal sipping rum. St. George Spirits, located in Alameda, California, is known as America’s first post-Prohibition craft distillery. Since opening its doors in 1982, the company’s flagship spirit has been this pear brandy. There’s no skimping here: 30 pounds of organic Bartlett pears, picked at their peak of aromatic ripeness, go into each bottle. The entire pear is used and no sweeteners are added, making for a fruit-forward eau de vie. Though traditionally used by Europeans as a digestif, St. George’s Pear Brandy is an excellent way to impart a cocktail with fruitiness without adding more sweetness. It is delightful with Champagne, in a pear martini or simply on its own. TINCUP Whiskey is spirits-maker Jess Graber’s take on bourbon. Made in Colorado, it has a high rye content, which makes it spicier than other bourbons. This whiskey uses Midwestern grains aged in American charred oak barrels and bottled with pure Rocky Mountain water. It evokes notes of citrus and black pepper, and suggests cinnamon and caramel on the palate. 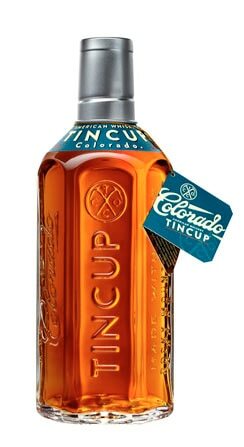 TINCUP pairs well with bitters and is delicious in cocktails. Price: $44 for 750 ml. Drinkable grain whiskey is a growing trend and Teeling Single Grain Irish Whiskey is an award-winning example. While the Teeling family has been making whiskey since 1782, this single grain distillate is a recent creation. Crafted and produced in Dublin, it’s just under six years old but has a complexity and depth belying its age. Uniquely matured in California Cabernet Sauvignon casks, it is soft, sweet and flavorful. This whiskey boasts notes of vanilla, butter and nutmeg that develop into berry and grape skin flavors. When contemplating the origins of the best vodkas, places such as the former Soviet Union, Eastern Europe, Finland and other chilly climes come to mind. So what’s a top vodka doing deep in the heart of Texas? While rivals offer up hundreds of years of history, this vodka started in the late 1990s. Others bear noble titles like Imperia and Pearl, but this spirit has been christened with the humble “Tito.” While Chopin Vodka shares the name of a classic pianist, this American product bears the name of one of the least-talented Jackson 5. Despite its Texas roots and simple appellation, Tito’s is surprisingly good, crisp and fresh-tasting. Believe it or not, the Tito beverage was created by Tito Beveridge, who runs Austin’s Mockingbird Distillery. With a small crew, the fifth-generation Texan uses propane, American corn and old-fashioned pot stills to produce what he calls the country’s only handcrafted vodka. After the best of the batch is distilled six times, Tito filters it through activated carbon to remove residual impurities. While other high-end spirits we’ve tasted have suffered due to excessive filtering, this very smooth, pure and neutral vodka seems to benefit from the process. There is virtually no burn in this 80-proof beverage, even when imbibed straight at room temperature. The mild flavor lingers on the front of the tongue, and doesn’t taste watery or syrupy. It mixes well with fruit juices and tonic, but we prefer to drink it neat and cold.